Here at last is the DVD series whitetail hunters all over America have been requesting for many years -- Dr. Ken Nordberg's Buck Hunting School. Over the past two decades, this school was a four-day event in spring, two days devoted to classroom instruction and two days devoted to field instruction. 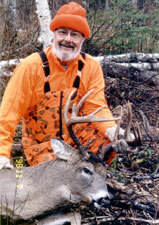 During the past decade or so, field instruction took place where Dr. Nordberg and his partners have been very successfully hunting mature bucks (as chronicled in Midwest Outdoors). You could not find a better place for learning to hunt adult bucks. 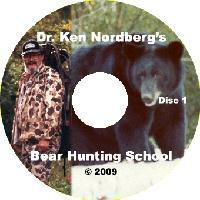 Dr. Nordberg taught his Bear Hunting School for over 2 decades. He decided to stop teaching this class in 2005. John Nordberg, Dr. Nordberg's oldest son, video-taped the last 2 years of the school (2004 & 2005). 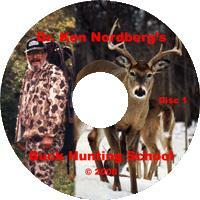 Now, Dr. Nordberg & John Nordberg have collaborated to create a new DVD version of Dr. Nordberg's Bear Hunting School. Copyright 2005, Prairie Land Management. All Rights Reserved.